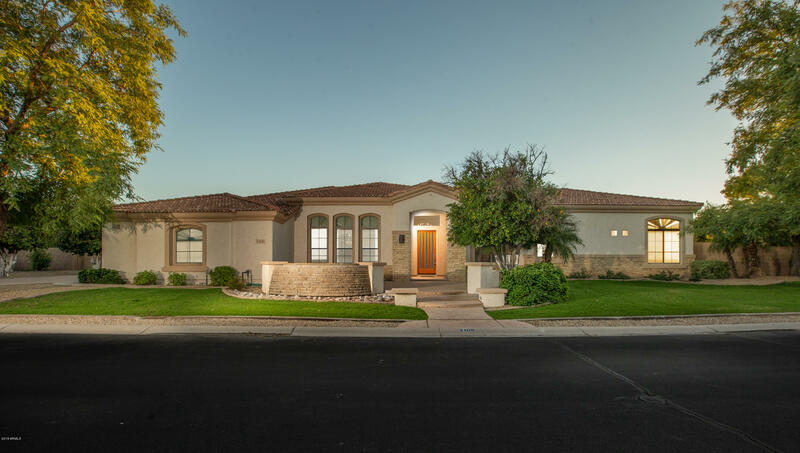 All ARBOLEDA UNIT 2 homes currently listed for sale in Mesa as of 04/22/2019 are shown below. You can change the search criteria at any time by pressing the 'Change Search' button below. "No Expense Spared in this Luxurious, Move In Ready Basement Home with some of the finest finishes and amenities including 4 BRAND NEW TRANE HVAC units (2019) with transferrable warranties. Master Suite is fit for a King & Queen with seating areas, Incredible 3 entrance Walk In Closet with floor to ceiling custom cabinetry, Master Bathroom has 2 person Steam Shower, Jacuzzi Tub w/ sheer decent waterfall, double vanities and private toilet. Natural lighting adorns this neutrally painted home wit"
"Please check out the 3d tour, video, and upgrade list! Welcome to a beautifully designed Toll Brothers home located in the quiet gated community of Arboleda. This property sits on a huge private lot with only two single level homes for neighbors. 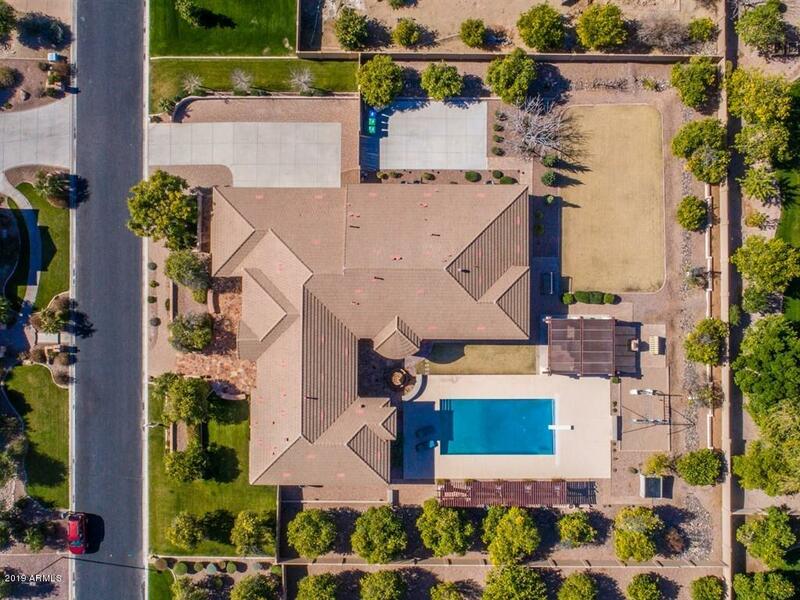 The recently updated back yard comes fully equipped with a private pool/spa, outdoor kitchen area, multiple covered patios, rows of flood irrigated citrus trees,and plenty of spare room for any additional outdoor needs. The main interior level offe"
"Welcome to elegance! 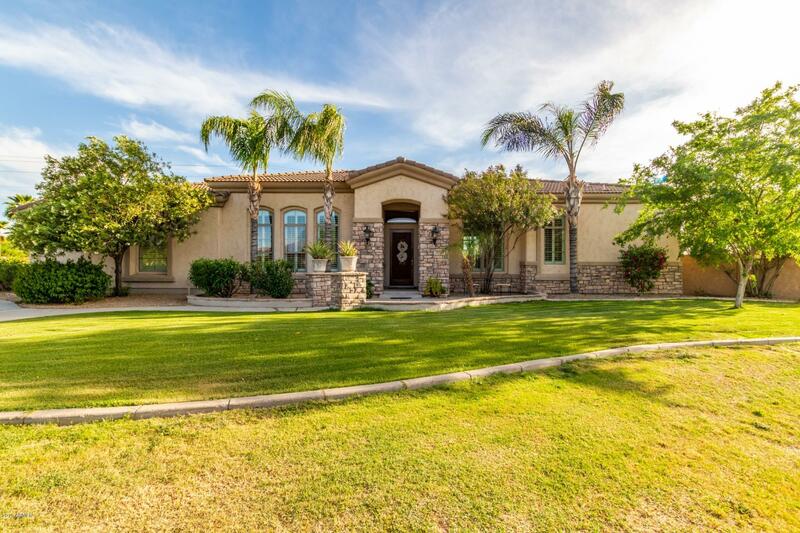 Nestled in the Arboleda gated community this spectacular home has everything! Situated on a large cul de sac lot next to the lush green park. Formal dining and living rooms. The chef inspired kitchen is open to the large family room and is complete with a large island, double ovens, breakfast bar and huge pantry. The amazing master retreat includes a sitting area and ensuite. The ensuite includes custom dual vanities, walk in shower with separate jetted tub, and a genero"